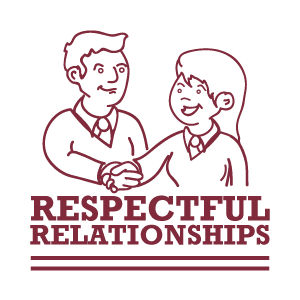 The ‘Respectful Relationships’ stamp is designed to help schools identify ways in which Development Education (DE) can be explored beyond the school Community. It provides ideas for sharing DE through communication channels such as social media and newspapers. There is guidance on how to engage with schools here in Ireland through clusters/ networks, your wider community and with schools globally through global school partnerships. Finally it explores the environmental impact within a global citizenship context – ensuring we always feel interconnected with the people and planet of this world. Shiobaun Kelly from Loreto Convent Letterkenny shares her experience of implementing the Respectful Relationships Stamp. Click here to be inspired! There are 5 categories within this stamp. Please click on the categories name below for resources and practical school examples to support and inspire you to achieve this stamp.